WIDE OPEN WEDNESDAY WILL RUN FROM 5:30PM - DUSK. Registering online will significantly reduce time spent in the Registration Office for check-in on the day of event. For the 2015 WOW schedule, we will only be running one half of the track for Track Laps. In order to ensure each guest receives an adequate number of laps, registrations have been capped at 55 vehicles. Please register early, there is no guarantee there will be day-of spots available. WOW is a unique program presented by Miller Motorsports Park that allows enthusiasts to drive their street or race-prepared car on our world-class racetrack in a non-competitive environment. Autocross and karting is also available. No previous racing or on-track experience is required. WOW is offered on one Wednesday evening each month from April to October, allowing drivers to come out after work and bring the family for an evening of high-speed fun and excitement. Eligible cars for the racetrack include all street-legal and race-prepared cars with a hard top and convertibles with roll-over protection (either a factory-installed deployable system or a roll bar with a minimum of four mounting points). For safety purposes we do require helmets for Track Laps and Autocross activities. Helmets need to be a 2005 rating or newer, preferably Snell "SA" or "M" rating, but at least DOT. Helmet does need to be in good shape and not extremely worn. If you don't have your own helmet we do offer helmet rentals which can be reserved during the registration process at mmp.motorsportreg.com (quantities are limited). We do reserve the right to disallow a helmet we feel is not adequate for the activity. No refunds. Anyone that cancels their registration MUST notify the Box Office 24 PRIOR TO THE START OF THE EVENT. If notice has been given, you will receive a credit that can be applied towards future Miller Motorsports Park events hosted through Motorsportreg.com. Credit will be valid for ONE year from the time of purchase. No credit will be issued for those who do not notify the box office further than 24 hours before the event starts or who simply do not show. Events are weather permitting. If the event is to be cancelled due to weather participants will be notified through the e-mail by Wednesday evening the week of the event. 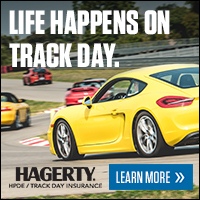 If a track day is cancelled participants will receive a credit valid for 1 year - no refunds.